Spice up your finger foods with this tasty four-ingredient recipe. Makes 20 mini sandwiches. Mix the cream cheese and pecans, then spread on half your bread slices. Spread red pepper jelly on the other half. Top with the cream cheese-covered slices. 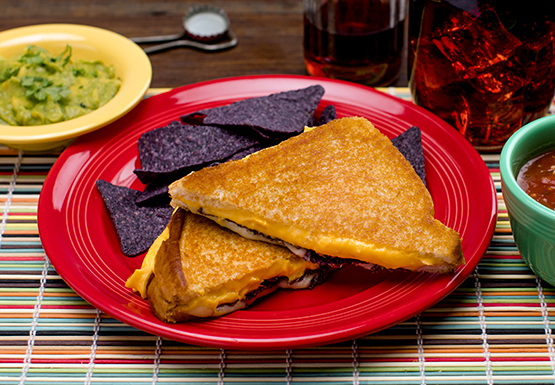 Remove crusts and cut each full sandwich into four mini sandwiches. Enjoy! 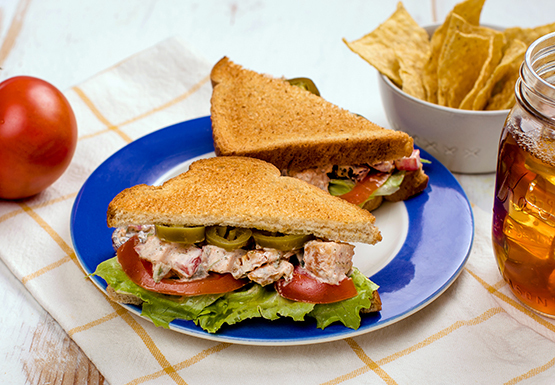 The classic chicken salad sandwich gets an attitude adjustment.